To choose the very best company, you need the very best facts. We’ve done the hard work by researching what the Sydney-area has to offer for rug cleaning services, highlighting our favourites down below. Explore the nuances of each company in order to make an informed and intelligent decision. A proven leader in the industry, Aladdin’s has been providing comprehensive rug cleaning to the greater-Sydney region for years. With fast and friendly service, Aladdin’s takes a professional approach to every job no matter how big or small. 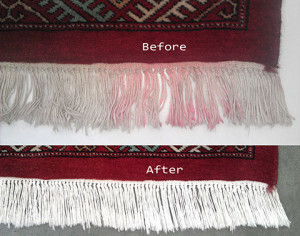 Leaning on 30 years of experience, Devine Rug Care has become one of the largest rug cleaning specialists in Sydney. Using a time-honoured three-pillar system, Devine Rug Care strives to “Refresh, Revive and Restore” each rug to the best of their abilities. Whether commercial or residential, Barrie and Debbie Hodge are ready to bring their 16 years of expertise to your doorstep. A two-man operation, Crown Carpet Cleaning offers customers the rare opportunity to deal directly with the business owners from start to finish. However, be prepared to pay a little more money for the luxury of working with a boutique cleaning service. One of the leaders in the Australian carpet cleaning industry, All Carpets covers the entire Sydney region for both residential and commercial projects. All Carpets specializes in a proven steam-cleaning system to get rugs and carpets looking, smelling and feeling their freshest. Contact them today for a free price-quote. Aladdin’s has become a trusted household name for those living around Sydney and for good reason—few service providers can offer anything to remotely match in terms of cost, care or quality. Whether your rug is new or old, modest or lavish, don’t run the risk of further damage by hiring a budget service provider. With six individual methods of treatment at their disposal, the professionals at Aladdin’s will tell you exactly what’s needed to get the job done right the first time. Don’t like what their representative has to say?—Not to worry, all of Aladdin’s consultations are free of charge. Walk away from the quote without a single dollar of commitment. FREE in-house price quotes with ZERO obligation. FREE pick-up and return delivery. Six different cleaning methods to employ depending on material, depth of stain and other variables. Complementary dry soil and detritus removal with every cleaning. A full-line of cleaning products for at-home use, including instant spot remover, groomers and rug protectors. Experienced with all materials: wool, silk, cotton, jute, sisal, nylon, rayon, silk, polypropylene, polyester, acrylic. Experienced with all styles: Persian, Oriental, Indian, Shagpile, Flokati, Dhurrie, Modern Deco. Comprehensive liability insurance for ease of mind. 1. Does your company help me move furniture? Unless your rug sits unmolested in a hallway, there’s a good chance some pretty heavy tables or chairs sit on top of it. To avoid getting a project stalled before it even gets started, call the service provider in question to make sure they can help move cumbersome furniture out of the way. 3. Can I see customer testimonials or references? Sometimes the best peace of mind comes from talking to someone who’s been in your shoes. Ask a company if they have old customer references to share or—better yet—contact. 4. Do you offer In-House or Take-Away cleaning services? Both? 5. Are all price-quotes final once I’ve committed to a hire? Just about nothing is worse than expecting one price and being charged another. Make sure your rug cleaner has no hidden or auxiliary fees tacked on to their initially service quote. 6. What are your certifications? Find out the what awards, certifications and licenses your provider has or lacks. 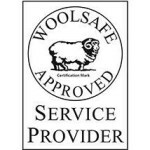 Are they WoolSafe? IICRC? 7. Do you guarantee the quality of your work? Some companies still offer a full, money-back guarantee for any customer not entirely satisfied with the quality of their experience. Every company will promise “client satisfaction” but only a few are willing to put their money where their mouth is.